I have a 10 month old Californian doe who has had a white nasal discharge (like milk) for the last 4 months. She is eating and seems normal otherwise. I have her with my other rabbits, but in an end cage, surrounded by cardboard, and I care for her last. I give her 1/4 cc TwinPen sub-q, every other day for a week. This seems to help. But a week or two later, the sneezing and discharge is back. This last time, I gave her 1/2 cc TwinPen every other day for 2 weeks. Just one week after the treatment, she is sneezing and has a white discharge again. We're sorry that the news is not good! We have no doubt that your rabbit is infected with Pasteurella multocida bacteria. Your story perfectly illustrates why rabbit scientists consider snuffles (pasteurella multocida) to be incurable. Treatable, yes, but not curable. An infected rabbit does okay for as long as it is medicated, and then the symptoms roar back shortly after the medication runs out. There is no effective pasteurella bacteria antibiotic treatment. Sadly, your rabbit is very sick. When snuffles is allowed to take its course naturally, the rabbit will get sicker, little by little, over weeks or months, until its immune system is entirely drained. At that point, the pasteurella bacteria will fulminate and spread. Between the toxins that flood the rabbit's body and the immune system failure, the rabbit will die quickly. Common deadly conditions resulting from pasteurella bacteria are wry neck (infection in the inner ear or brain), pneumonia, or large bodily abscesses, especially in the internal organs. Even if you like purchasing penicillin every month and giving shots every other day, supposing this were your very favorite pet rabbit, the continual presence of antibiotics is how super-resistant pasteurella germs develop. The ones that survive the onslaught of antibiotics soon adapt to the unfriendly environment, learning how to turn the penicillin into food. Despite the continual medication, your rabbit will eventually succumb in exactly the same way, bit by bit, because of the super-virulent germs in your rabbit. They'll eat the antibiotics like candy and then kill your rabbit anyways. We're sorry! 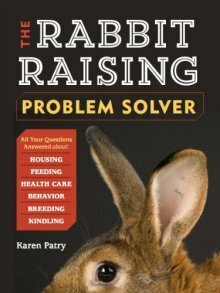 Your best option is to put the rabbit down as soon as possible. If any of your other rabbits begins sneezing regularly, even if no white nasal discharge, we'd strongly recommend euthanizing those with symptoms as well. This is to completely eliminate the super-germs, for the sake of the rest of your rabbits, yourself, and any other pets and livestock that you handle. We wish you the best of luck going forward!